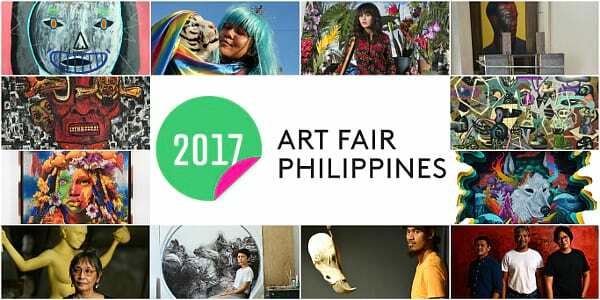 Now in its 5th edition, Art Fair Philippines 2017 prides itself as the premium art destination for modern and contemporary Philippine art in the world. Slated for February 16 - 19, 2017, Art Fair Philippines 2017 promises to showcase the best in Philippine modern and contemporary art at The Link carpark, located in Ayala Center Makati. In 2017, an additional floor, the open-air Roof Deck, has been added to accommodate the thousands of people who increasingly come visit the fair since its inception (from 6,000 visitors in 2013 to 22,000 in 2016). The overall exhibition design of Art Fair Philippines 2017 is a project of Leandro V. Locsin and Partners, curators of the Philippine Pavilion in the 15th Venice Architecture Biennale. Ingrained in the Art Fair Philippines 2017’s mission is the development of audiences for contemporary art. As part of its programs, the ART FAIR PH/TALKS and ART FAIR PH/TOURS were created in partnership with the Ateneo Art Gallery and Museum Foundation of the Philippines. 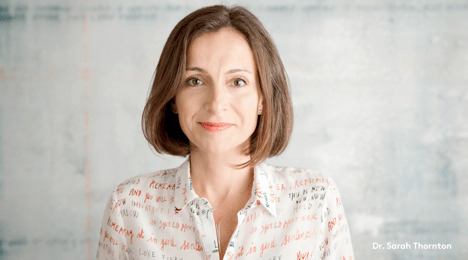 Featuring three talks a day, ART FAIR PH/TALKS will include Canadian writer and sociologist of culture Dr. Sarah Thornton, former contemporary art chief correspondent for The Economist and author of several art world bestsellers such as Seven Days in the Art World and 33 Artists in 3 Acts. Also, Filipino historian, academic and journalist Prof. Ambeth R. Ocampo will talk on the solo exhibition he curated at the Ateneo Art Gallery of works by significant modern artist Arturo Luz, Philippine National Artist for the Visual Arts. Professor Tony Godfrey, teacher, writer, and curator, will offer an exchange on often asked questions about contemporary art as he discusses what “masterpiece” or being a great artist may mean today. ART FAIR PH/TOURS will continue to propose guided tours of relevant museums around Metro Manila. ART FAIR PH/PROJECTS are new commissions in form of interactive and/or thought-provoking installations around The Link by internationally established Filipino visual artists. On the 6th floor, an installation by Jose Tence Ruiz, one of the artists who represented the Philippines at the Venice Biennale in 2015, takes center stage with a socio-realist commentary on the country’s current political issues. 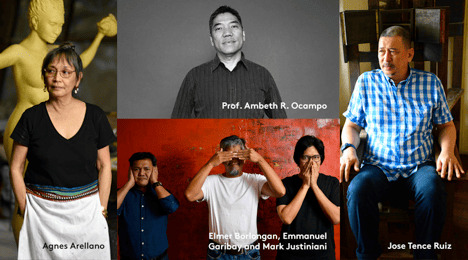 Other artists commissioned for the 2017 line-up are Agnes Arellano, Elmer Borlongan, Patricia Perez Eustaquio, Emmanuel Garibay, Dex Fernandez, Mark Justiniani, Maria Jeona Zoleta, and the WSK group of sound artists. The 2017 recipient of the Karen H. Montinola Selection, a private grant created in homage to art patron Karen Hernandez. 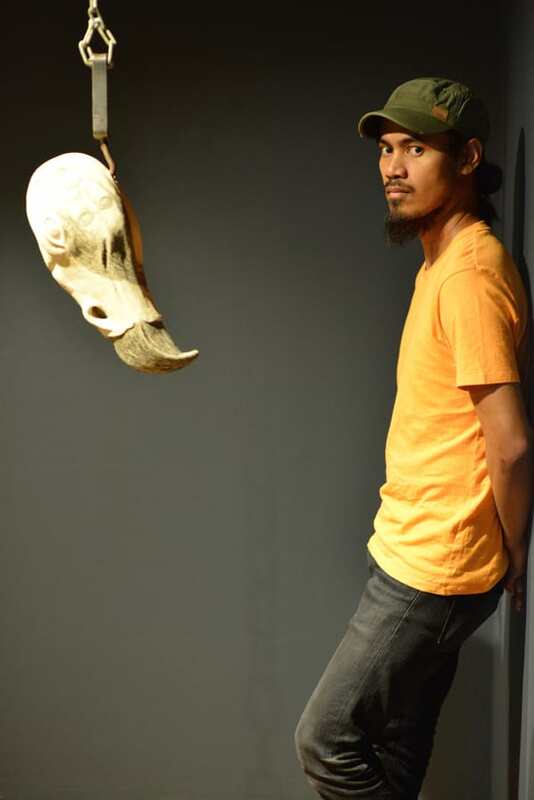 Montinola with Art Fair Philippines in 2014, is interdisciplinary and ceramic artist Mark Valenzuela. On loan from the Julius Baer art collection is the video Telephones by award-winning Swiss and American artist, Christian Marclay. 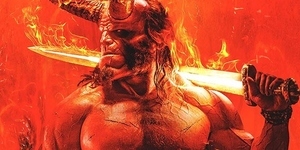 In this 1995 piece, he spliced scenes from over 100 classic films to put together a montage that features ringing phones and famous Hollywood names picking up calls in dramatic sequence. The Philippines’ leading galleries, will be joined by a wider roster of galleries from Southeast Asia, Japan, Hong Kong and Taiwan to showcase curated exhibitions from local and foreign visual artists. The 46 galleries participating in Art Fair Philippines 2017 are: 1335 Mabini, Altro Mondo Arté Contemporanea, Archivo 1984, ARNDT, Art Cube Gallery, Artinformal, ART LAB, Art Underground, Art Verite’, Artesan Gallery + Studio, Avellana Art Gallery, Blanc, Boston Art Gallery, CANVAS, Edouard Malingue Gallery, Finale Art File, Gajah Gallery, Galería Cayón, Galerie Anna, Galerie Michael Janssen, Galerie Stephanie, Galleria Duemila, Gallery Kogure, Gallery Orange, J Studio, Kaida Contemporary, Asian Cultural Council/Leon Gallery, MO_Space, Nunu Fine Art, Paseo Art Gallery, Pinto Art Gallery, ROH Projects, Salcedo Private View, Secret Fresh, Silverlens, TAKSU, The Crucible Gallery, The Drawing Room, Tin-aw Gallery, Underground Gallery, Vinyl on Vinyl, West Gallery, XuArtspace, Yavuz Gallery, Ysobel Art Gallery, and YOD Gallery. To complement the fair, Art Fair Philippines launches 10 Days of Art, from February 9 to 19, a series of events around Makati and BGC that will involve galleries, museum, bars, restaurants, and retail establishments. The idea is for the celebration of art to spread beyond the venue of the fair in the days leading up to its opening. Highlighting the public art installations around the city is the Asian premiere of Street, by British-born painter and filmmaker James Nares. The film, which has been shown at New York’s Metropolitan Museum of Art, will play at a specially installed video screen in Ayala Triangle Gardens in the evenings of February 15 to 19. 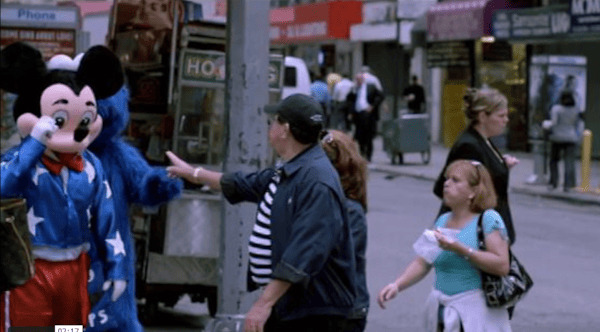 The one-hour video captures passers-by in the streets of New York in slow motion, as if they had been caught in a dream. For more information on Art Fair Philippines 2017, please visit artfairphilippines facebook/artfairph and @artfairph on Instagram and Twitter. You may also contact secretariat@artfairphilippines.com.